My name is Alexa. I’m 26 years old. I was born with Cerebral Palsy. I must use a power wheelchair, and while I need help to do many basic tasks, I have been determined and sometimes stubborn, which can be a good quality. 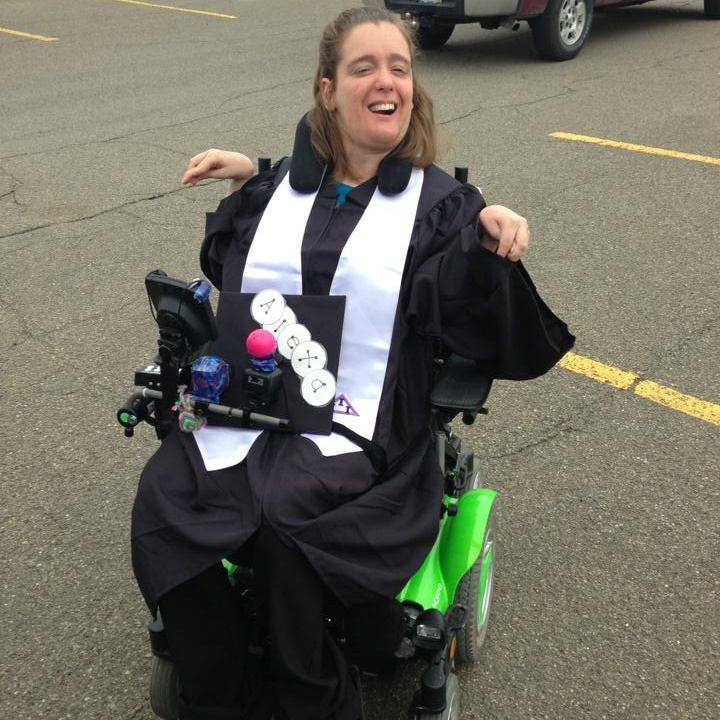 I have completed college, become reasonably independent, and am an advocate for people with disabilities. My parents raised me to believe I can do anything I want to do. Until recently, that wasn’t true. I didn’t have a job. I was like hundreds of thousands of young people with disabilities, it was very difficult to find someone who would hire me. Employers want to hire people who have job experience. I didn’t have any. I graduated from Edinboro University of Pennsylvania in May 2013 with a Bachelors Degree in Sociology. I then landed an internship at The Equal Rights Center in Washington D.C. from September 2013 through November 2013. After my internship ended, I submitted applications for various positions. The problem was, all of the positions required previous employment experience, which I didn’t have. Finally, in March 2014, I received a position at The Arc of Pennsylvania as a Communications Associate. It was my first real job – a job with a paycheck. Now, I’m also working with the #IWantToWork Campaign, where I am their Communications Associate, helping to change how Pennsylvania helps young people with disabilities prepare for work after completing high school. House Bill 400 is designed to correct the dilemma faced by young people with disabilities. It will give the Office of Vocational Rehabilitation (OVR) the necessary funding it needs to assist young people with disabilities in accessing competitive employment while they’re still in school, so they aren’t stuck without employment after they graduate. The legislation also requires OVR to begin helping teens at age 15, and not wait until their last semester of high school. I was taught that work is important. I have always wanted to work. I need to work. I want to be a fully participating member of society. I want my peers – other young people with disabilities – to have opportunities, too. House Bill 400 is an important step towards preparing young people with disabilities to work, and to show employers we will be good, productive, and loyal employees. Congratulations on your career and first blog post Alexa! I believe opportunities should be given to all.